Stainless "Stanley Super Vac" carafe with stopper used on trains. 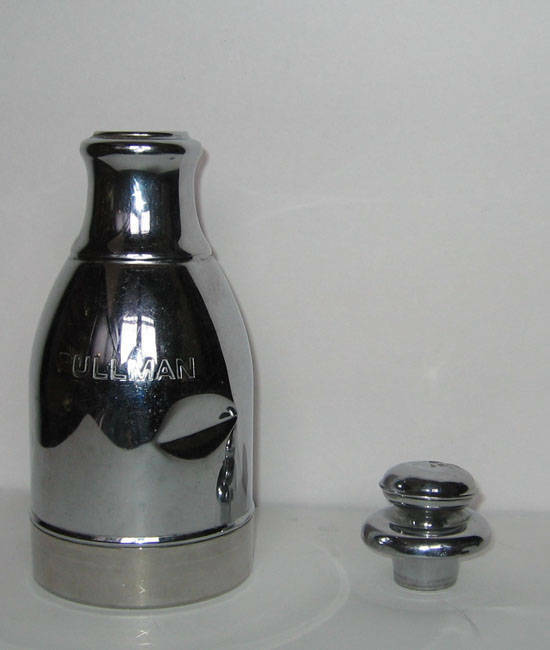 "Pullman" in block letters on front. Description Stainless "Stanley Super Vac" carafe with stopper used on trains. "Pullman" in block letters on front.